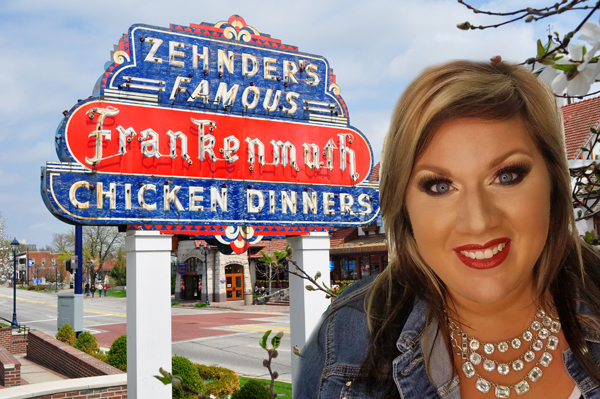 Comedian and comedy show producer, Frankenmuth Michigan’s own Melissa Hager joins the podcast to discuss her career, what she learned from Joel’s comedy class, what its like being from a small town and a lot more on this show. Melissa, who happily employed co-host Corey Hall for some shows, shares some of her secrets for success as well as telling a hilarious story about racial diversity which must be heard to be believed. Joel believes a lot of her success is due to applying big-city comedy production to small-town events unlike the multitude of “hell gigs” that have many comics, like Joel, very happy to leave the road forever. Melissa is a fun guest who, unlike Ted Moss, actually gets along with Corey! Despite that, you should listen to this show! Also, the Andy Kaufman/Jim Carrey documentary is a bloated DVD extra, while Gilbert Gottfried’s documentary is a masterpiece, Joel’s seen both and he will tell you why. Plus, Hot Cocoa Oreos reviewed, is Blake Shelton the sexiest redneck alive?, reviews of Lore on Amazon, Long Shot on Netflix, American Horror Story on FX and even more sexual harassment stories break – when will it end?